The evening of November 3 had a big surprise for people in Japan: A big, bright meteor streaked across the sky, giving locals an absolutely stunning light show. You can see the green and orange light of the meteor as it falls toward Earth. These colours are likely due to the presence of magnesium and sodium in the meteor itself that produce green and orange light, respectively, when subjected to extreme heat. The celestial event took place over western Japan and was reported within a couple of hours of a series of US meteor sightings across the East coast. And here’s an incredible shot taken from some people driving along the road. 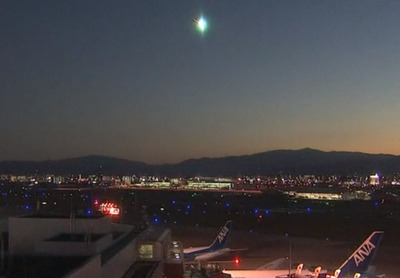 And another great look at the meteor came from an automated camera installed at the Hakata port. 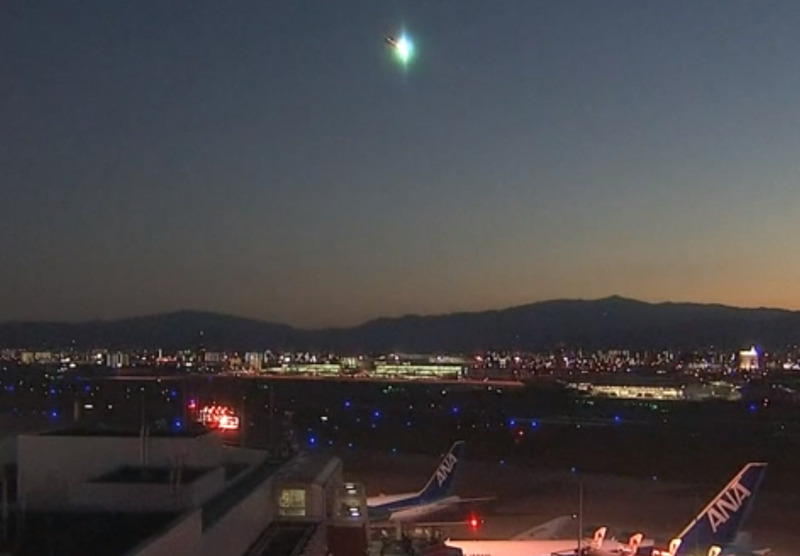 You can see the meteor streak by the Hakata Port Tower. These light shows are likely rogue meteors from this month’s ongoing Taurid Meteor Shower. Interesting fact about meteors falling to Earth is that Earth actually gains weight from meteor dust. @SpagDoodle Yes. Earth gets heavier by several hundred tons (of meteor dust) per day.